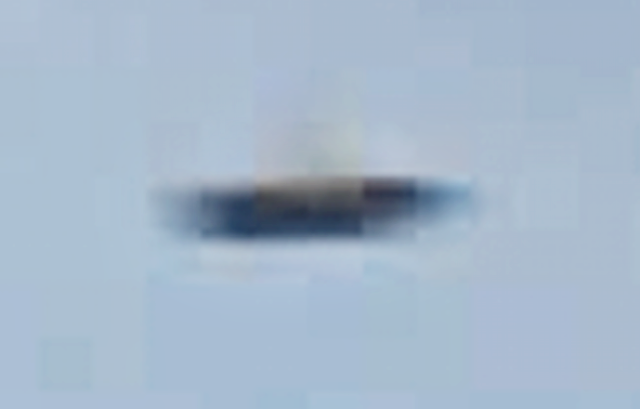 UFO SIGHTINGS DAILY: UFO Caught Over Cantonment, Florida Frightens Eyewitness, Nov 8, 2017, Photos, UFO Sighting News. 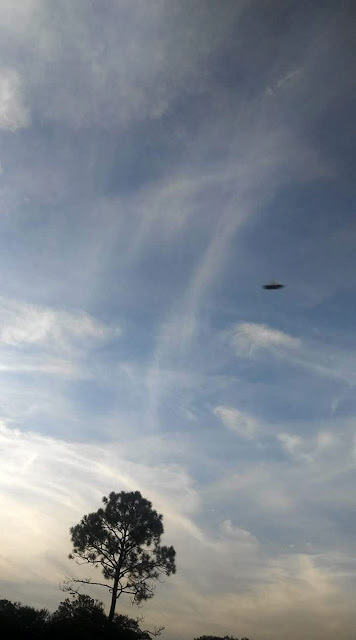 This is a fantastic photo of a UFO caught mostly by being in the right place at the right time. Thats usually how it happens. Look at the detail on the UFO. 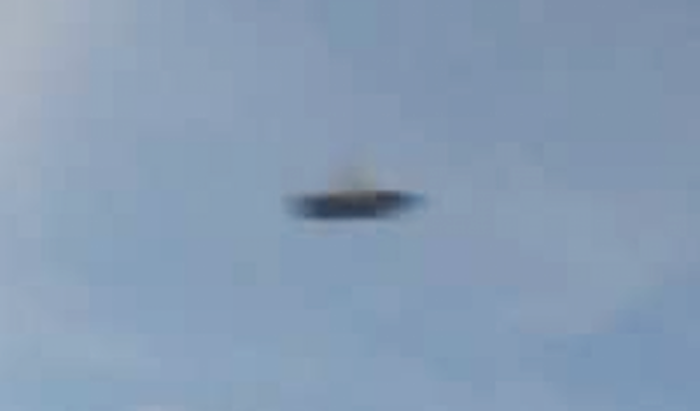 Its moving so fast, its still blurred on its edges, however we can clearly make out the right angles of its edges, which tells me its a alien made object. Not all alien structures and UFOs have right angles, most do not. This could also be a top secret USAF drone being tested over Florida. Wow, what a photo! I was taking pictures of my son and the sky. I never saw this with my eyes. 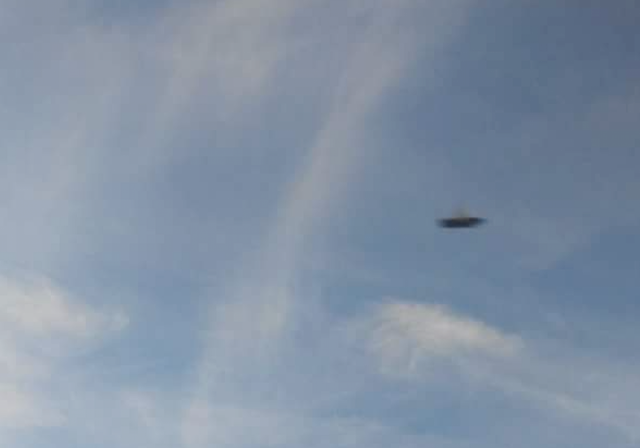 It wasnt until I got home and looked at the photos I took that I was shocked to find one photo in particular that CLEARLY shows some sort of disk with a dome flying somewhat low to the ground. I never believed in this stuff prior to taking this photograph and events that have happened since I took the photo have me a little shaken. I don't know what to think anymore honestly.